Social media has been a vehicle to show how Teddy Bridgewater is recovering from his knee injury, and it happened again recently. After a devastating knee injury just prior to the start of last season, Teddy Bridgewater faces an uncertain future as an NFL quarterback. Anyone attached to the team has been unwilling to say anything definite about his recovery, positive or negative. But Bridgewater took it upon himself to show the progress he was making , and the Vikings’ social media people jumped on board during OTAs in May. Offseason optimism is expected. 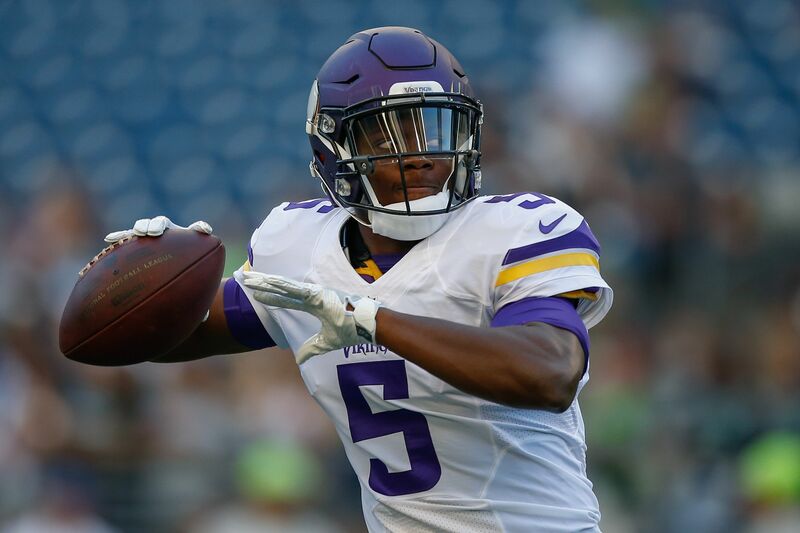 But the Vikings’ decision to decline Bridgewater’s fifth-year option for 2018 says it all about their level of confidence he’ll play this year, and starting the regular season on the PUP list is virtually certain. Beyond that mandatory six weeks where he won’t be able to practice or play in that scenario, it’s anyone’s guess when Bridgewater would at least be in uniform for a game. On Wednesday, Bridgewater posted photos from a workout on his Instagram account. Since his account is private, Twitter becomes the avenue to see them. Notably absent from these images is a brace on Bridgewater’s injured left knee. It seems to be a sign he no longer needs it, or this workout was not strenuous enough to make it necessary. Either way, the brace isn’t there and Bridgewater has a football in his hands going through drills. From a certain perspective, that’s all Vikings’ fans need to see to get back on the Bridgewater bandwagon. Bridgewater may be at or close to a full-go for training camp in a couple weeks, with the typical level of non-contact quarterbacks are exposed to as he works behind starter Sam Bradford. But it would be a huge shock if Bridgewater suits up for any preseason games, and it’s still highly unlikely he plays at all in 2017.